Karen Jordan, and her husband Jeff, became involved with JDRF when their daughter Ali was diagnosed with T1D in 2008. She also serves on JDRF’s International Board of Directors. In addition, Karen is President of JDRF’s Greater Bay Area Chapter Board and is a member of JDRF’s Research and Finance Committees. 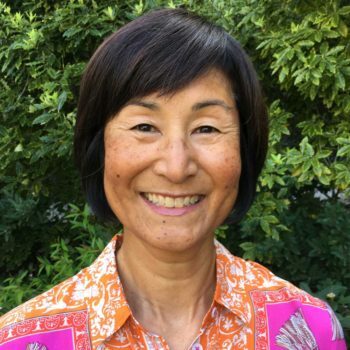 She is a founding board member of Carb DM, a non-profit providing education and support services to the T1D community, and is the organizer of the Bay Area Diabetes Consortium, comprised of 22 organizations serving the diabetes community in California’s greater Bay Area. Her previous non-profit work includes service on different boards including, among others, Starlight Children’s Foundation, Stanford GSB Alumni Association and the Portola Valley School District. She was a member of the group who founded Summit Prep, a charter school profiled in Waiting for Superman. She also serves on the Stanford Healthcare Community Council. Karen earned her M.B.A. from the Stanford University GSB and B.A. in Economics-Business from UCLA. She has also completed TPW’s year-long program on strategic philanthropy. She has worked as an investment banker and with the Mayor’s Office in Los Angeles.